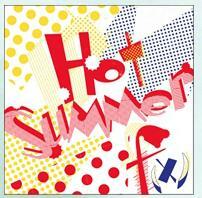 f(x) – Hot Summer Japanese Ver. Music Video Revealed! After being busy with promotion their new mini album “electric shock”, they dont stop and try to be more famous in japan with revealing their japanese debut. it begins from Hot Summer Japanese Version. Check this out for their MV! take out with full credit please!